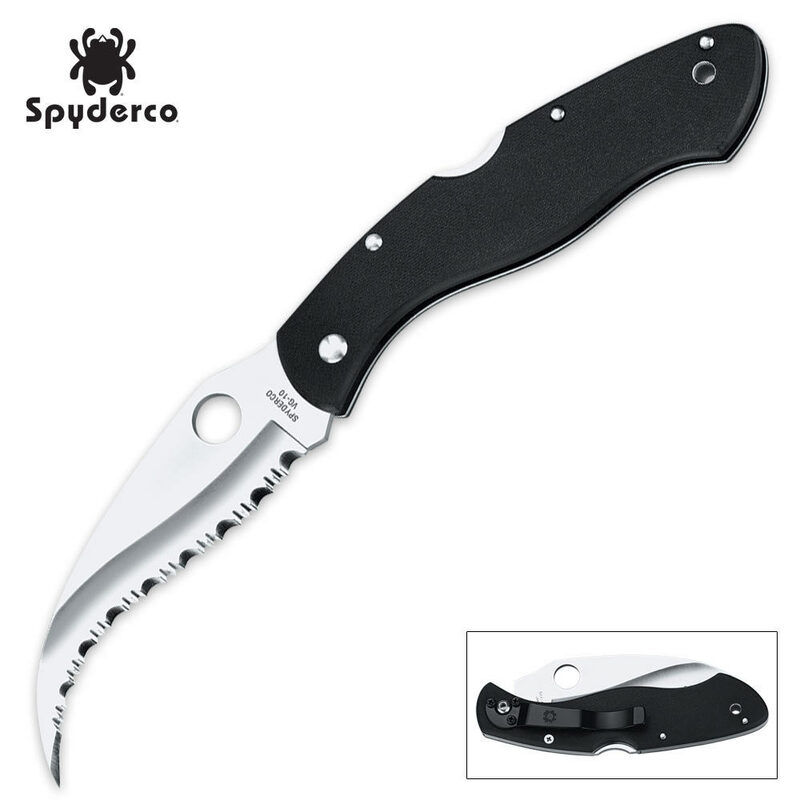 Spyderco® Civilian G-10 Black Serrated Pocket Knife | BUDK.com - Knives & Swords At The Lowest Prices! The Spyderco® Civilian folder was first introduced in the 1990s. This knife was designed with undercover law enforcement officers in mind. The 4 1/4" ground VG-10 stainless steel blade is deeply curved and full-bellied with a fully serrated SpyderEdge™. The patented reverse "S" shaped blade was designed for emergency situations and not intended for everyday use as a utility knife. The ergonomic handle is constructed of black G-10 with a two-position clip for right side, tip-up or tip-down carry.